Cycling as a hobby is great exercise, and it’s a lot of fun. You can make it longer distances than you would walking or jogging, so you get to see more. Plus, you put a little less stress on your body in terms of pounding the pavement. That’s not to say that walking and jogging aren’t good for you. And cycling is going to take it out of you, but in a good way. Exercise is exercise, and here’s why taking up cycling as a hobby is a great idea. One benefit of riding a bike regularly is that it’s supposed to help strengthen your bones. Bone health is so very important when it comes to mobility. You want to maintain a healthy weight, and you might even have a goal of building more muscle. But don’t discount the fact that our bodies age, and we need to focus on general health benefits as well, like mobility. Cycling can help you do it all, especially burn body fat, but I’m just saying all health benefits are important. When riding your bike, you are moving those joints, too. Joint mobility is so important, and cycling can also promote better flexibility in general and give you more strength. You are certainly going to be strengthening those muscles, and that is a key benefit. As always, exercise in general has mental benefits, too. Cycling can help take the stress out of your life and give you time to let it all out. It represents a form of exercise that takes you places faster than your body can move, too. This is very empowering and therapeutic, opening you up to an adventure. The experts also say that riding a bike for exercise consistently can play a role in disease prevention and also disease management. It can also help you have better coordination, and it can help you to improve posture. You don’t necessarily have to ride your bike every day for exercise. Do plan to shake things up a little, but cycling frequently is fun and a good workout. You’re going to find all kinds of routes that you enjoy. You might stick with one at first as you get used to cycling frequently. You can build up your endurance and go for longer rides, too. Regular cycling is going to give your body the workout it needs, and you might even venture out with a group. Cycling as a workout is a great way to involve friends. You might even start a cycling club where you all get together on weekends. If you live out in a rural area, you can imagine there are some nice rides waiting for you, but cycling in the city is fun as well. You can even drive to a place, such as a state park, and then get out and start cycling. Look for challenging routes that push you to get an even better workout. Think about where you would like to ride. Beautiful scenery is motivating, and clocking those miles has the same effect. You’re really going to enjoy this new hobby of yours. Have you cycled before in the past? If it’s been awhile, you’re going to be reminded of just why riding a bike is so much fun. You can keep track of your mileage and the rest of your stats, and of course you want to be sure that you have a good bike. Riding a bike also helps you improve your navigational skills, and there are even more benefits that you’re going to learn about as you get started. Have fun out there on your bike. The Cape Epic MTB race is an annual race which is held in the Western Cape of South Africa. The race was first held in 2004 and covers over 700 kilometers or 435 miles of varying terrain. The race is sponsored by ABSA bank and takes 8 days to complete. The route of the Cape Epic differs each year, but always starts and ends in the Western Cape. The race started as a point-to-point race with the start in Knysna and the end in the winelands of the Western Cape. However, this route was amended in 2009 to allow the riders to spend a number of days on each stage of the race. This allows the Cape Epic to cover more of the region and looks unlikely to change. All riders entering the Cape Epic will need to be part of a 2 person team. One of the reasons for this was increased rider safety as parts of the route are very remote and the team members are able to look out for each other. The team concept also adds an extra edge to the race as the team members have to stay within 2 minutes of each other. The 2-minute distance is enforced through the use of timing mats placed throughout the route. If a team fails this distance three times they are disqualified from the race. The teams will also have to reach the end of the stage within the maximum stage time. There are 5 categories that racers are placed in and they are men, women, mixed, masters and grand masters. Each category has a colored jacket to denote who the leaders in the category are. This means that riders will be looking to win the different stages as well as the category they are in. To determine the leaders in each category the lowest overall time at the end of each stage is taken. If a rider is unable to finish a stage within the time allowed they are classed as blue board riders. These riders will be able to continue the race after the first offense, but will not be part of the official race finishers. If a rider does not complete the stage within the time twice they will not be allowed to continue racing. Riders who lose their partners and are UCI licensed are allowed to continue the race on their own. However, they are not allowed to affect the race in any way including offering assistance to other riders and are provided with an outcast rider jacket. If a team accepts assistance from an outcast rider they will be penalized. Riders who have the same sponsors are allowed to offer assistance and technical equipment from their bicycle to other riders. It is also within the rules for riders without the same sponsor to form alliances. However, they are not able to offer assistance to the teams within their alliances. Riders who return for the race each year will become part of a loyalty program known as Amabubesi or pack of lions in Zulu. Members of the program receive a special certificate as well as a set of additional benefits. To be eligible for the club you will need to complete the race 3 times, but the more times the race has been completed the better the benefits provided. The teams who win the overall race for their categories will receive a prize purse. In 2014 the Cape Epic offered the highest paying prize for their women’s category as they increased it to be level with the men’s category purse. The purse was increased as the sponsors of the race stated that the women ride the same course as the men and should have a prize purse that reflects this. Mountain bikes are highly fashionable bikes. These bikes can easily be diverged from other brands of bikes due to their glittering styles and attractive colors. If you love sports cycles, then there are many mountain bikes that can fulfill your requirements. Besides these bikes are budget friendly, good looking and have great features. Making a decision to which bikes to get is not an easy decision as there are a lot of quality brands out there. Ultimately, the best thing you can do is get out and do a test drive to a variety of models. Below are the biggest mountain bikes brands. Giant was founded in 1972 in Taiwanese with one goal in mind to make riding experience better for all people around the world. The craftsman and engineers who started Giant wanted to follow three guidelines with every bike creation: inspiration, craftsmanship, and innovation. These three guidelines have allowed riders to fall in love with mountain bikes. Giant usually takes pride in all of their creations and seek to establish new levels of performance as well as comfort. The giant company was the first company to launch affordable carbon fiber bike that would be used by the mainstream public and they continue to provide high-quality mountain bikes at affordable costs. Giants offers a very wide range to choose form and 12, 000 retail stores everywhere in the world. Giant’s mountain bikes aim to be smoother and a little faster than competitors and to top it they use of durable materials, light weight, Giant has made their name across the globe. Their use of design and technology provides an easy use and comfort all riders and newcomers can agree on. Giant has considered the large customer base from all over the world means that the company is not going anywhere. Trek has become a household name in the mountain biking community as they offer a line of mountain bikes in 30 countries. Trek was started by two friends in 1976 and they vowed to make their bikes to be of high quality and craftsmanship and to enlarge the community of cyclist by giving people a ride that filled them with joy. Trek usually encourages you to overcome any trail using one of their finely tuned bikes. The mountain bikes vary from cross country, Enduro, Dual, Trail and sport mountain bikes that can give the best performance according to your needs. Sustainability and social responsibility are important factors that Trek’s corporation and are a world leader in using the most advanced technologies. Knowing high performance, technology and adventure are key factors into the creation of Trek mountain bikes, cyclists look forward to riding from Trek. 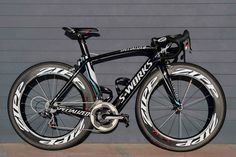 Specialized is a California-based company that was founded in 1974 by Mike Sinyard. The team in Specialized is passionate about making the bike that gives the customer the best ride experience ever. They provide mountain bikes that give everything your ride demands. From flying uphill to racing downhill their mountain bikes ranges covers all the bases. Also, they have mountain bikes that are designed for women by a woman engineer and this gives the female customer a certain comfort. Also, the specialized company strives to protect the environment at all costs throughout their entire creative process. They deal with import and export of high-quality products. Specialized mountain bikes are truly special as they are made using ultra-light hard tails and world championship FSR suspension. The best mountain bike brands have shown quality, durability and the need for speed. Finding the best bike among the top competitors is not an easy task and with these list for can choose mountain bikes that best suits you. The Table mountain national park in South Africa is known as one of the most scenic mountains in the world. In addition to the natural scenery on offer, the mountain also offers over 900 routes (including climbing) for mountain biking enthusiasts and hikers. As far as the location of this mountain is concerned, it is in the centre of Cape Town. It just takes a short ride from the city centre to reach the mountain. Also, if you are unable to bring your mountain bike to Cape Town, you can rent a high quality mountain bike from one of the many cycling stores operating in the city centre. As mentioned in the beginning, there are over 900 routes that can be mixed and matched for a variety of experiences. More than 1500 species of different plants are there on the Table Mountain. You will also encounter a variety of wildlife including tortoises, frogs, mongoose as well as many species of birds and reptiles. It is also important to mention here that there are more than 20 species of snakes on the mountain and the snakes are highly active in the summer months from October to April. Therefore, you need to be careful and avoid biking through long grass, especially during the summer months. You also need to be cautious when you stop for breaks. Keep in mind that you are not allowed to carry your mountain bike on the top of the mountain but you can reach the summit through a cable car or you can also hike to the top. As far as choosing the best Table mountain mountain biking routes is concerned, there are a number of resources available online that can help you in choosing the best routes. There are a number of websites from where you can download the best mountain biking routes to experience the thrill of riding on one of the most scenic mountains in the world. You can get a free copy of the bike routes from the Tourism board of the state as well as the local bike shop or from the visitor centre. Do not forget to scan a copy of the map onto your smart phone. Mountain biking can be dangerous and there have been reports of attacks and muggings around the national park which means you need to take special precautions to ensure that you remain safe and have a pleasant experience while mountain biking. One of the first things you need to do is to choose one of the recommended routes to enjoy the natural wonders on offer. It is also important to make sure that you do not bike alone and always bike in the group. You should also choose the route carefully and it is important that you stick to the route to make sure that you are never alone. It is also recommended to inform someone of your biking route as well as the time they should expect you back. You should never split up when you are lost and in such situations, it is best to retrace your steps and go back to where you started. In case you are forced to stop due to bad weather, it is important that you stay together as a group and find the closest shelter to save yourself from wind and rain. 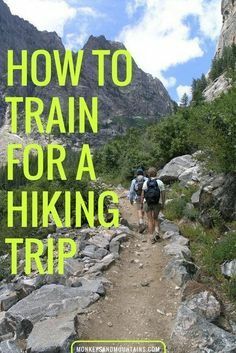 You should always carry enough water and food with you, especially in the summer months. Also, carry a fully charged smart phone and an extra battery to make sure that you can always use your cell phone when needed. Since the mountain lies in the centre of Cape Town, you may not need to ask for directions when you begin your journey. However, it is important that you choose your route when you reach the Rollercoaster. On this route, you will pass through a quarry and you can cycle to explore the southern suburbs of the city on your mountain bike. Overall, there are a number of scenic routes on offer on Table mountain when it comes to mountain biking. It is important that you follow the above mentioned tips to make sure that you remain safe and have a pleasant experience when you are visiting Table Mountain. If you do not want to go exploring on your own, think about join a Cape Town bicycle tour run by one of the many cycling companies based in Cape Town, South Africa. If you are looking over this article on the best bib shorts, you may be wondering why bib shorts are so popular with die hard road cyclists. The comical appearance of this costumes are slightly off putting to many rookie roadies, but the most experienced MTB and Road Racers have chosen this style over conventional cycling shorts for many reasons. Superior support and comfort are the top selling points for the bib shorts. The improved “bib” design keeps the padding, chamois and shorts as a whole in place even on long rides. This leads to improved energy performance for riders who will be stacking on mile after mile. If you are interested in the absolute best bib shorts for professional road cycling needs, this article will introduce three top tier options and what makes these a superior choice for the dedicated road racer. At the top tiers of high performance cycling gear is the Assos Cycling Gear Co. Cyclists looking to improve their overall comfort while enjoying a competitive edge over the competition have invariably opted for the T.Works Teamshort S7 cycling shorts. The ischial tuberosity (Sits Bones) is protected from the forces of road vibration and direct jolts by a cunningly designed T.Equipe insert, used in many of Assos top selling cycling apparel. In combination with comfortable bib straps, the inserts and shorts are held in place with comfortable “elastic-free” leg grips. Road racers have larger thighs and elastic can cut off circulation. Energy efficiency, optimal support and top quality comfort are the key selling points in the Assos T.Works Teamshort S7. 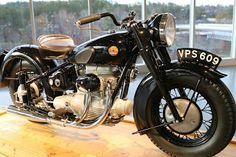 Being also very pricey, the cutting edge design and performance can only be truñly appreciated by a professional and semi professional road racer. Pearl Izumi is another purveyor of fine cycling apparel with a far more accessible price than the Assos line of professional bib shorts. The “Quest” line of men’s bib shorts provide a great entry level experience to improved cycling performance with bib shorts. The high quality polyester bib shorts feature the standard bib short design geared toward fitting a body in constant motion. The polyester itself is crafted with 4-Core technology which maximises moisture transfer and features thermal barriers that keep the cyclist warm in the cool mornings or evenings while keeping them cool during the heat of the day. Contact between your primary contact point, the ischial tuberosity, and the seat of your bike is softened by an effective Tour 3d Chamois, which is geared toward soft contact rather than shock absorption. 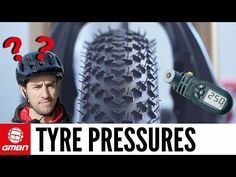 This makes the Pearl Izumi Quest Bib Shorts better for a dedicated road cyclist rather than the rough and tumble MTB enthusiast who will require better padding. With a lifetime guarantee from the manufacturers, these are the best bib shorts you could find in terms of price over value. High-quality design and innovative materials are precisely suited to the needs of a serious roadie looking to take their skills to the next level. Ask any serious road racer and they will all tell you the same thing about bib shorts, “It’s all about the Lycra.” The Evoluzione Cycling Bib Shorts are made from cutting edge ProDry2Strati Lycra fabrics that offer next level wicking action and increased comfort for endurance racers. The KISS3 chamois is a prime example of how cycling technology has become greatly improved. Road racers require a chamois that will effectively reduce road vibration, but not with a large padding that can get in the way of smooth efficiency in a serious competition; it would also be great if they were ultra-soft to the touch and offered SERO abrasion. This is exactly what to expect from the KISS3 Evoluzione chamois. Even the greenest road rookie will immediately appreciate the next level comfort offered by these superior shorts. Professional road racers will absolutely love the improved comfort, snug fit and improved wicking action keeping them dry, cool and making progress towards their endurance goals. Indola Mountain Biking Apparel is fantastic South African brand of cycling clothing and equipment. They make fantastic high quality gear at a much lower price than their better known international counter parts. India produces one of the best pairs of bib shorts in South Africa. Their Enduro Bib shorts are especially well known for delivering a top class product at a fraction of the cost. The Enduro Lycra bib shorts are aimed at cyclists that are planning on spending more than 2 hours in the saddle and therefore need the added protection. The Indola bib shorts uses an imported pad from Italy designed by a company that pioneered the one piece, three dimensional, multi layered pad. Indola adds a small layer of a special polyether closed cell foam resulting in a slightly thicker than usual top end pad. It is wonderfully comfortable and competes with the top international brands. Mountain bikes provide the most flexibility you’ll find on 2 wheels. Mountain bikes have suspension up front for control and also a standard tail for convenience and weight saving. Dual suspension mountain bikes absorb the bumps back and front, providing a much more comfortable ride as well as a faster trail across the mountain.These are our top 10 2017 Dual Suspension Mountain Bikes. Obviously the very best balanced Mondraker bike, the ideal bike for world mountain biking these days. Foxy carbon began a brand new age of hi-end carbon production technology boosting the Mondraker brand to another level. The Foxy was the very first design in Mondraker’s remarkable collection to have the carbon treatment. This all-mountain slayer is definitely an all-day Enduro system, extremely light carbon framework, and ample durability to manage the downs. The Foxy includes a shorter journey compared to Dune, however, do not be misled for its functionality far surpasses it is on paper values. Summum is the world leading, the most trusted Mondraker Bike ever, the cause why the brand began the worldwide expansion displaying an original DH bike which carries on to top the category nowadays. It’s the standard in the Formula 1 category of biking. The Kili Flyer Elite is a no-compromise off-road bicycle. A bicycle you could bring everywhere and ride all day long which comes back for much more. Kill the singletrack and hit the climbs; The Kili Flyer Elite is really a blast to ride. 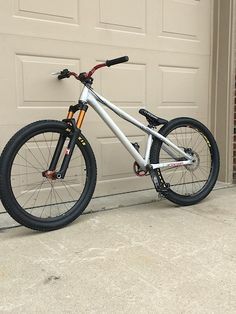 They have covered it with the newest build kit utilizing its Fox 34 Float Factory fork that’s flawlessly combined with a Fox Float EVOL Factory back shock. The supreme Enduro racing bike having the newest Mondraker key technologies. It’s the new top selling system, certainly the best-preferred bike into the present collection. Boasting Mondraker’s advanced geometry the Dune includes a much longer top tube and shorter stem compared to what you will see in some other enduro bikes. 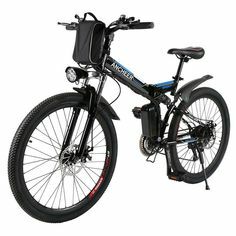 This provides balance whenever pinning it down challenging trails as well as offers a comfortable pedaling posture once the trail heads back uphill. Through numerous world championships to rampage wins… Yeah, it is that very great! Be ready to stay on the ground when you need to and fly when needed. The Fury has always been made in addition to the best in the industry right from the start. 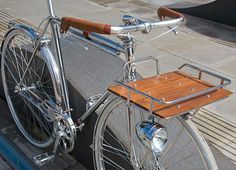 The outcome is an extremely lightweight, rigid, and efficient pedaling frame which will take what you could hand out. Probably the most flexible option for the revolutionary technical trail rider. The Swiss Army Knife of trail bikes, the Sensor is the bicycle for people who are smacking up their local riding spots but as well going to trail centers during the weekends. It is the perfect mixture of enough suspension to help you get away from trouble yet still climbs with the very best XC bikes. The purpose-built endro monster made to hustle up the mountains. In Enduro events, you win the race according to your overall descent time over several stages, hence the logic of creating an Enduro bike according to a championship winning gravity bike is pretty obvious. That’s what Sanction is. Enduro prodigy Martin Maes has experienced great input to the style and rides qualities of the 2017 Sanction Pro Sram 2017 Mountain Bike. Schwinn Protocol 1.0 Men’s Dual-Suspension Mountain Bike is visually durable having the lightweight aluminum frame as well as the steel back. With the dual-suspension system, this particular bike can be employed on any kinds of terrain. With thanks to the Shimano EF-50 Trigger Shifter, bikers can simply switch among 24 speed provided to fit various terrains and enhance the biking experience. This an excellent quality, highly affordable entry level 24 speed dual suspension bike and one of the biggest sellers. This includes Back and front Disc Brakes, an Enhanced aluminum frame with Single Pivot engineering, flexible rear coil on cartridge shock, Shimano drivetrain as well as an adaptable front shock! The Mongoose Impasse is the best 29er at a reasonable cost. Designed with an aluminum full-suspension frame, this particular trail-capable bike provides a sleek and controlled ride boasting an Element front fork, SRAM twist shifters, Shimano gearing, as well as front and rear disc brakes. My blog focuses on inspirational content and stories of my own personal development. My goal is to inspire others to tackle their biggest hurdles in life (and on the bike). Copyright © 2019 Mike Rossiter. All rights reserved.